CNS Canada — Even with more certainty around trade with the U.S., Canadians shouldn’t expect to see the dollar flying in value. “It’s hard for me to see the Canadian dollar gain value against the U.S. dollar in the short term, unless the Bank of Canada totally revises its stance towards interest rates,” said J.P. Gervais, chief agriculture economist for Farm Credit Canada. The day after it was announced a new deal had been reached for the North American Free Trade Agreement (NAFTA), called the U.S.-Mexico-Canada Agreement (USMCA), the dollar rose in value, breaking the 78-U.S. cent mark. However, in the following days it lost ground and quickly sank to pre-USMCA values. And according to Gervais, it doesn’t look like that’s going to change any time soon. 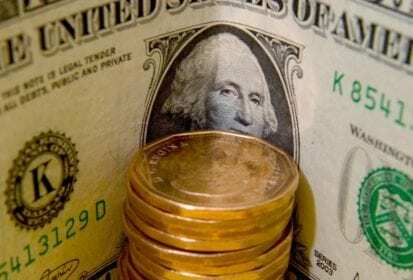 With the rate at which the U.S. economy is currently growing, it is holding back the Canadian dollar from being able to rise as much as people had expected following the USMCA announcement, according to Gervais. For the foreseeable future, Gervais doesn’t expect the Canadian dollar’s value to exceed the 78-U.S. cent mark in any sustainable way. “I think the story right now is bond yields in Canada moving up slightly. And that’s I believe a reflection of some of the expectations that the Bank of Canada now is going to drop their language around the uncertainty with regards to trade negotiations around NAFTA,” he said. Following the USMCA announcement, the probability of the Bank of Canada raising interest rates later in October jumped to about 97 per cent, Gervais said. The probability of a January rate increase also rose and now sits at around 67 per cent. “I think one thing for sure I’ll be monitoring is what kind of language (the Bank of Canada are) using. Are they shifting their stance… how much they’re going to revise growth upward? I don’t expect it to be much, but if it is then that means perhaps that the Canadian dollar would gain value,” Gervais said. For farmers a low dollar is good, as it helps keep Canadian products competitive on the international marketplace. However, Gervais said if the Canadian dollar loses too much value and the U.S. dollar gains value, it could be bad for farmers. If the U.S. dollar gains value, purchasing power for emerging markets buying Canadian commodities declines. “If it’s our currency that’s losing value it’s one thing. But if it’s the U.S. dollar gaining value, then you have to be thinking about if it gains too much value, then I think it hurts the strength and the demand for commodities that we’re seeing in marketplace,” Gervais said.